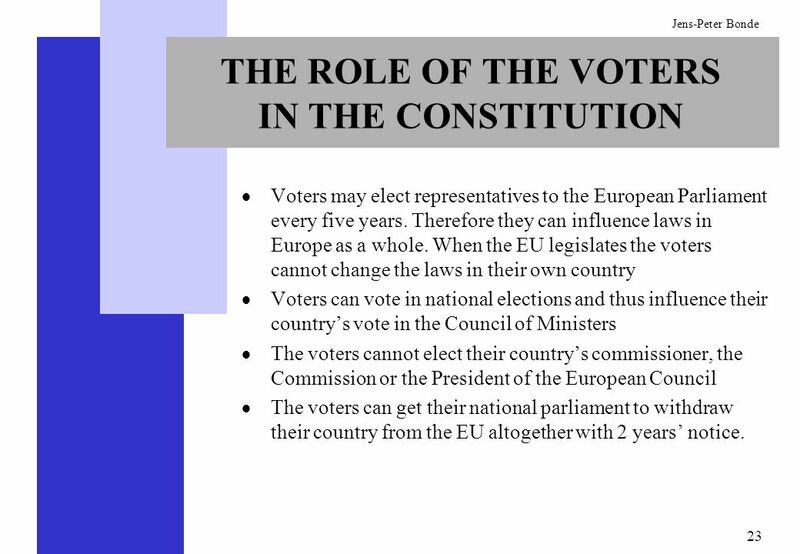 Voters may elect representatives to the European Parliament every five years. 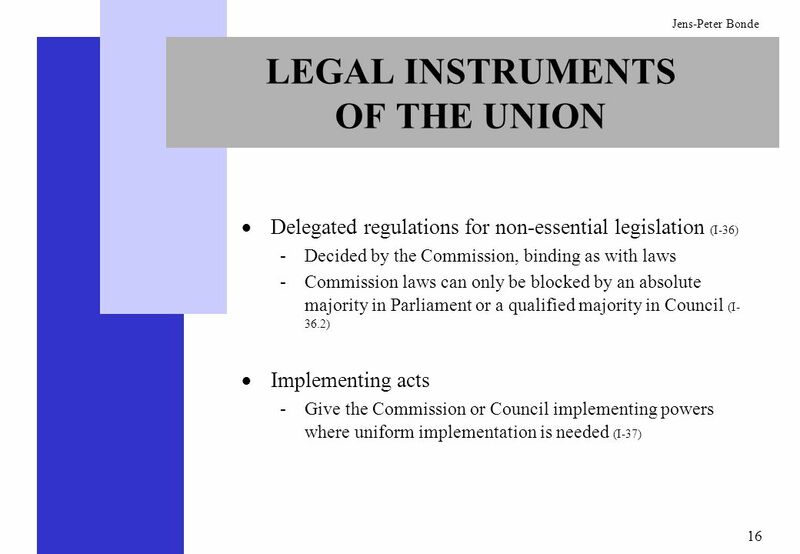 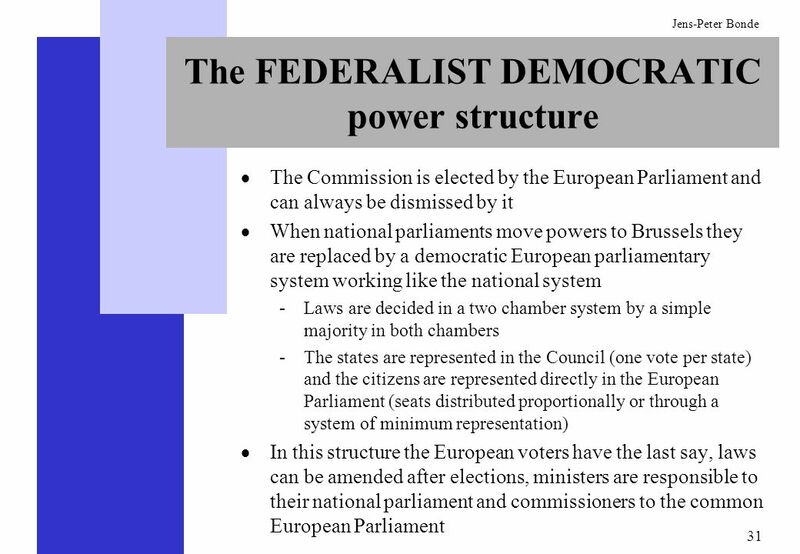 Therefore they can influence laws in Europe as a whole. 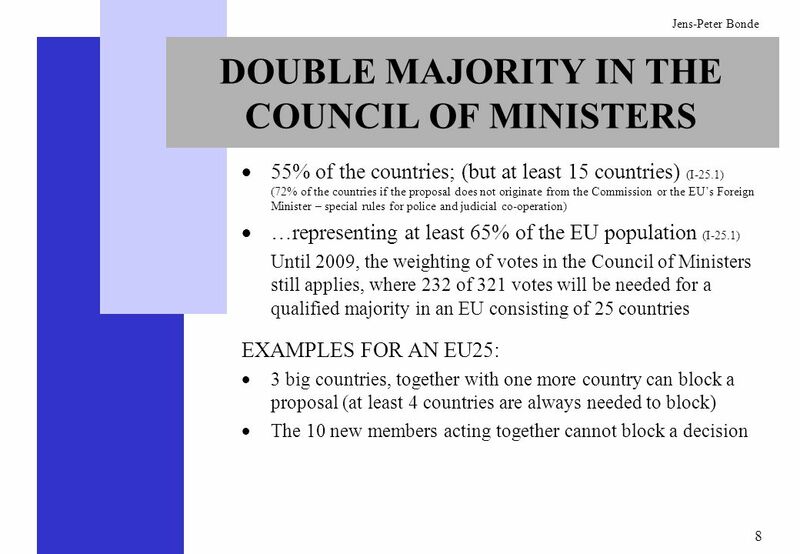 When the EU legislates the voters cannot change the laws in their own country Voters can vote in national elections and thus influence their country’s vote in the Council of Ministers The voters cannot elect their country’s commissioner, the Commission or the President of the European Council The voters can get their national parliament to withdraw their country from the EU altogether with 2 years’ notice. 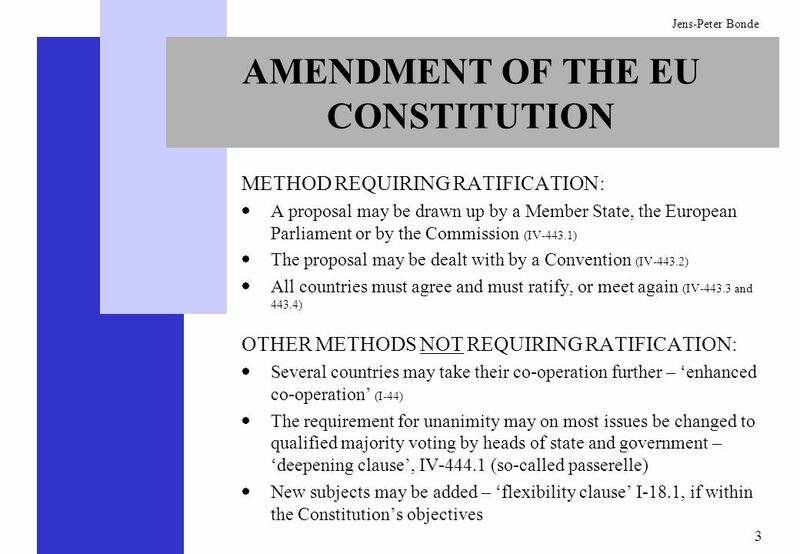 32 THE EU CONSTITUTION, WILL IT? Move powers from the national parliaments to the civil servants in Brussels? 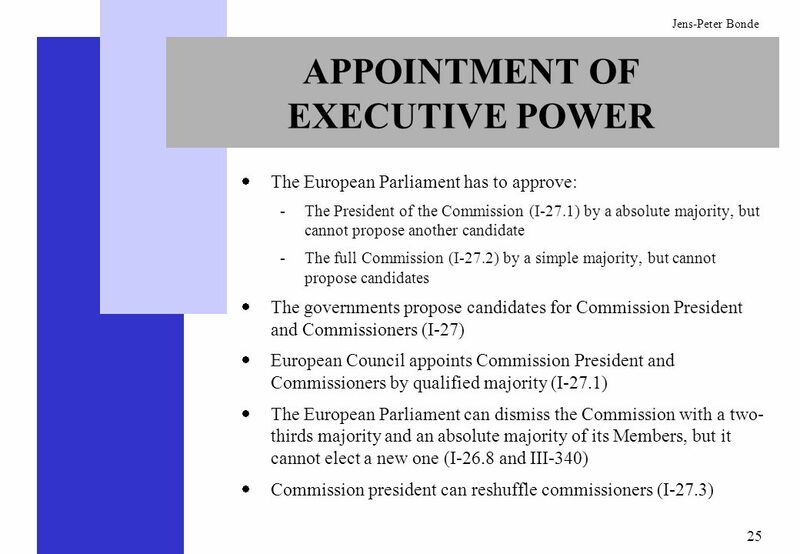 Turn legislative powers into executive powers? 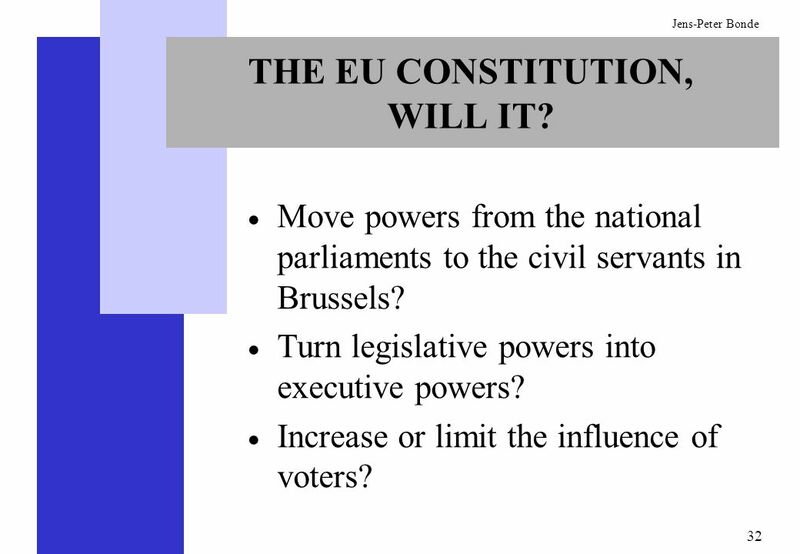 Increase or limit the influence of voters? 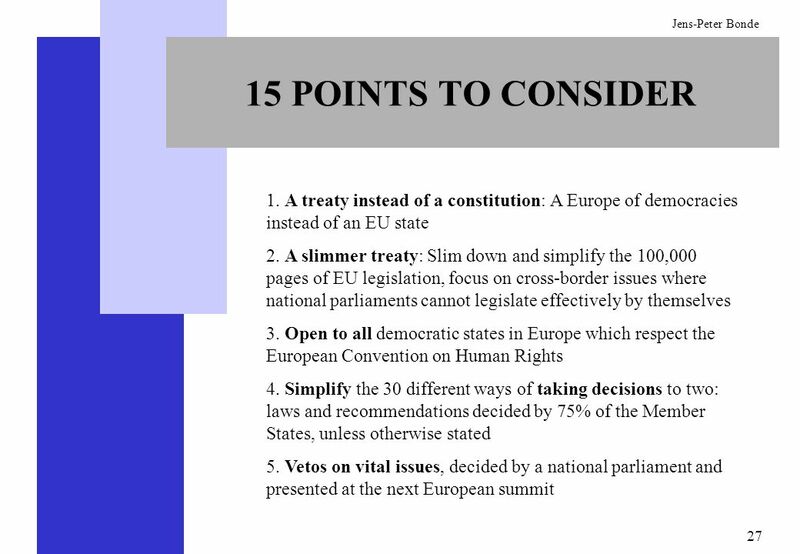 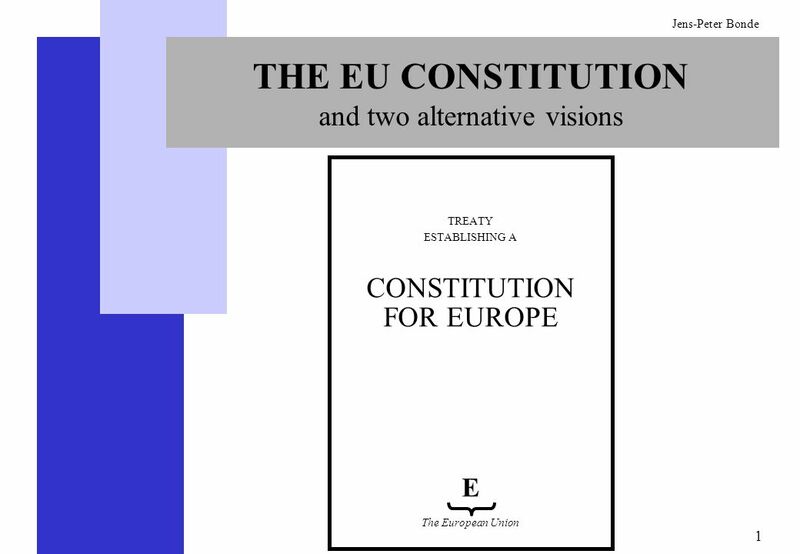 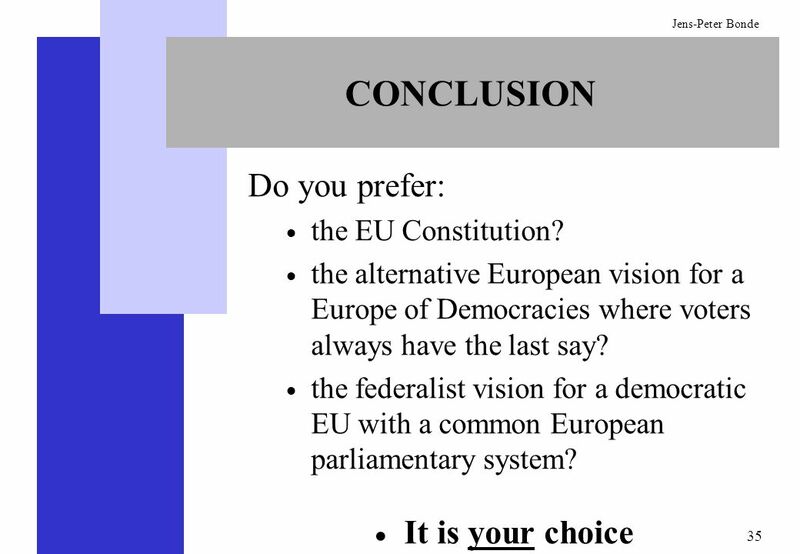 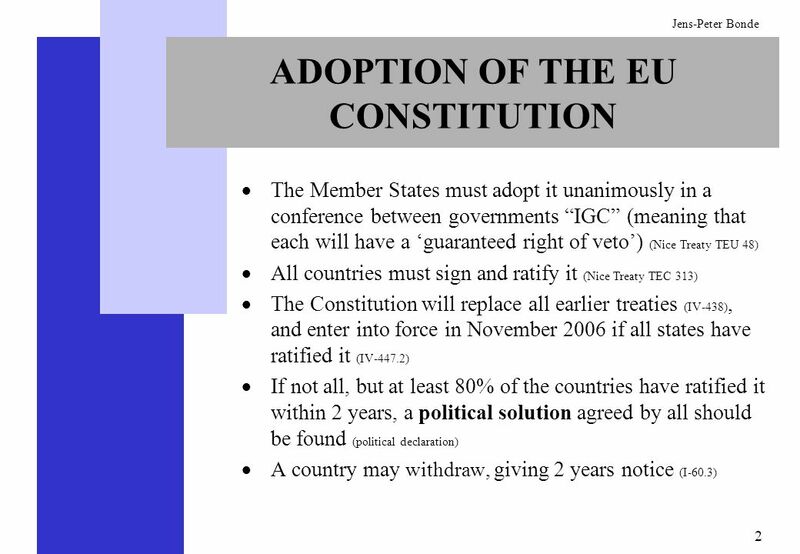 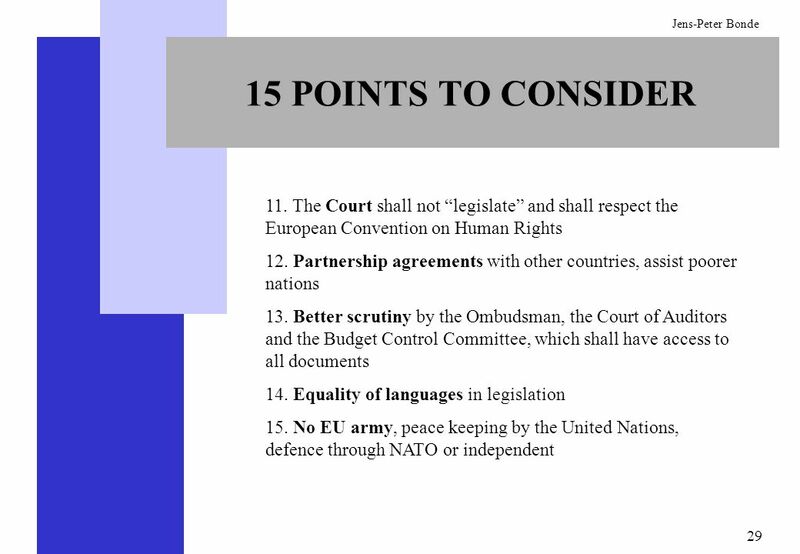 35 CONCLUSION Do you prefer: It is your choice the EU Constitution? 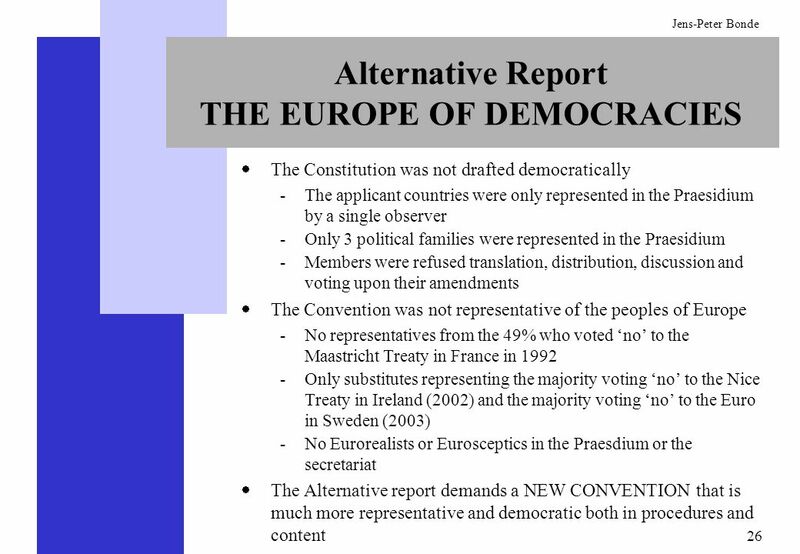 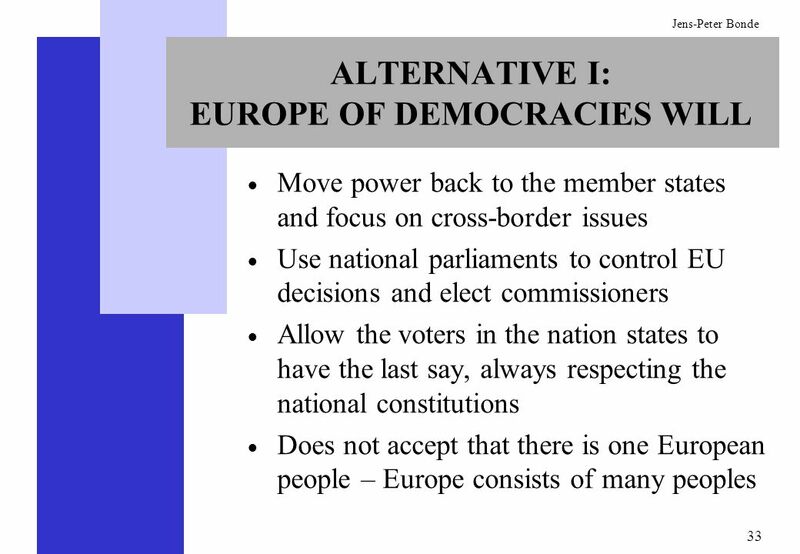 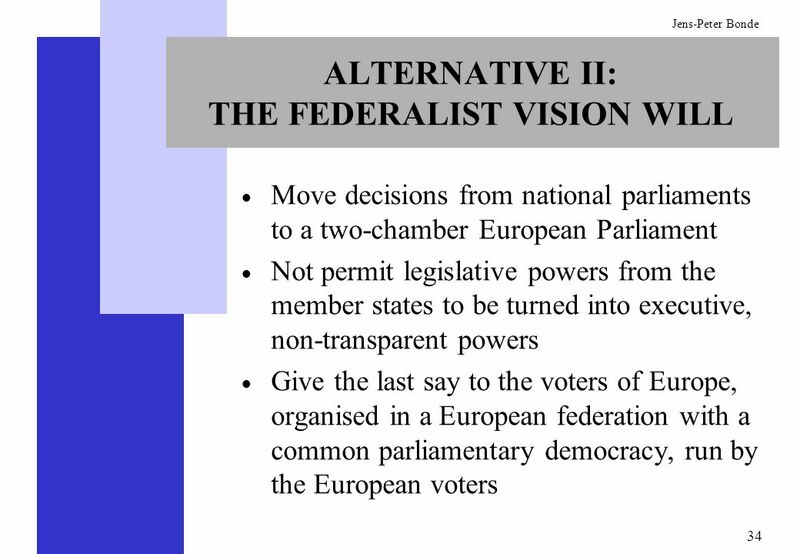 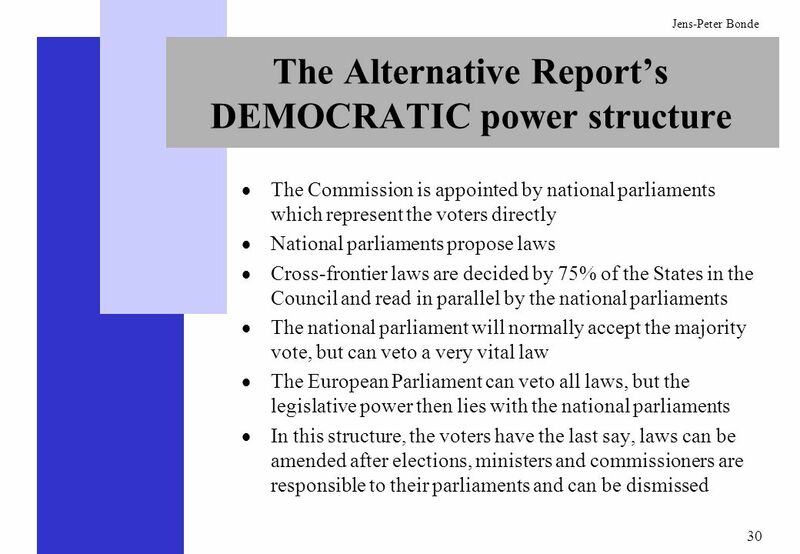 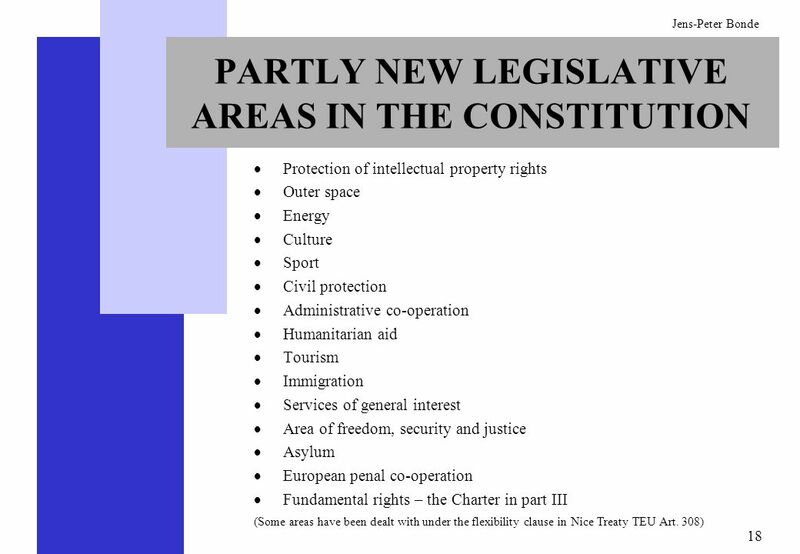 Download ppt "THE EU CONSTITUTION and two alternative visions"
European Commission - January 2008 European Commission – January 2008. 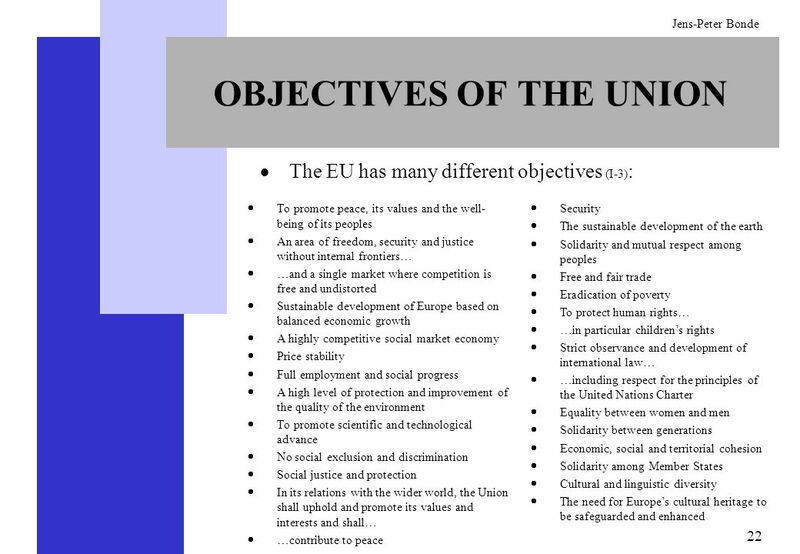 1 The European Union. 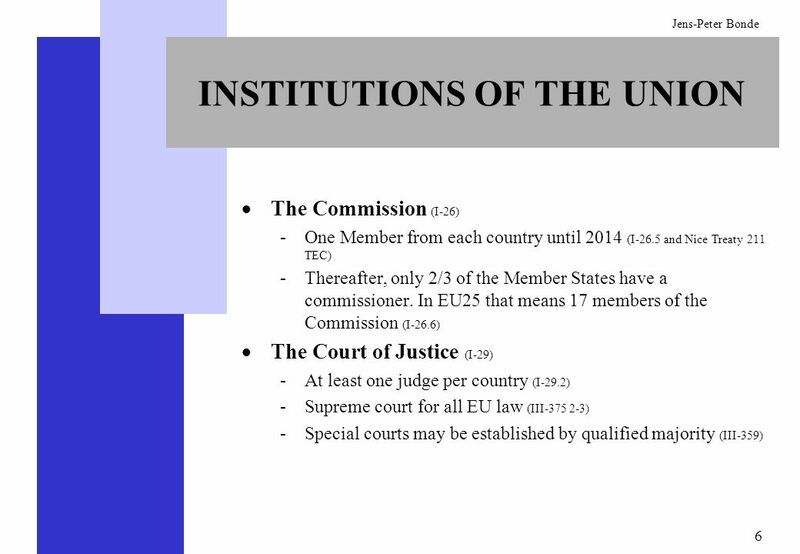 2 Some basic information The EU currently includes 27 states It has 23 official languages The EU has a population of over 500 million. 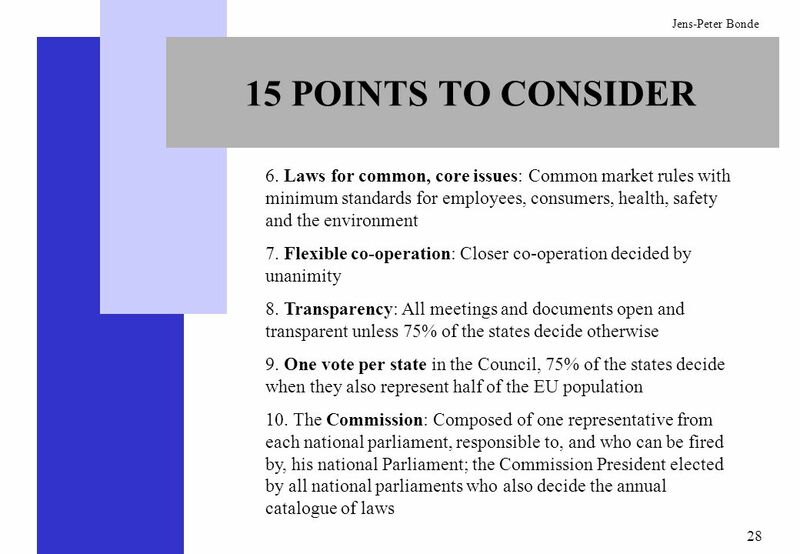 1 Essentials of Migration Management for Policy Makers and Practitioners Section 1.6 International Migration Law. 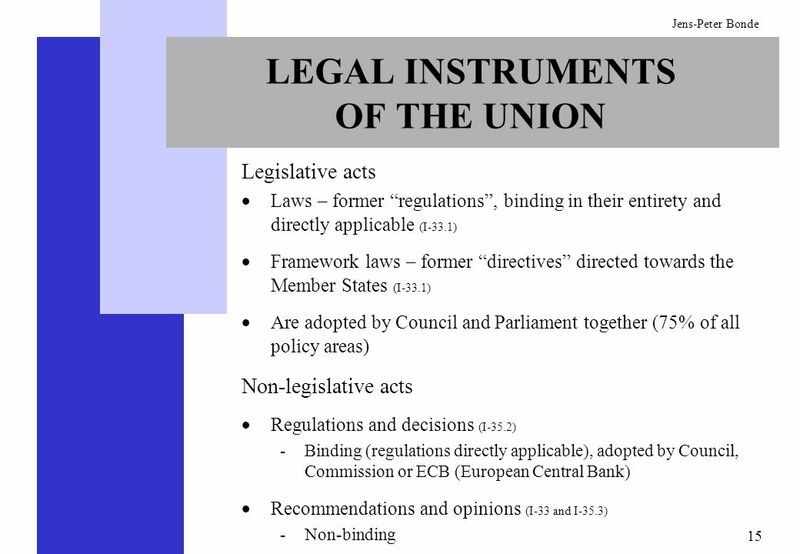 Environmental Legal TeamEnvironment and Beyond EU Law (Part 1) Legal Order 2nd lecture, 6 November 2012 Mery Ciacci. 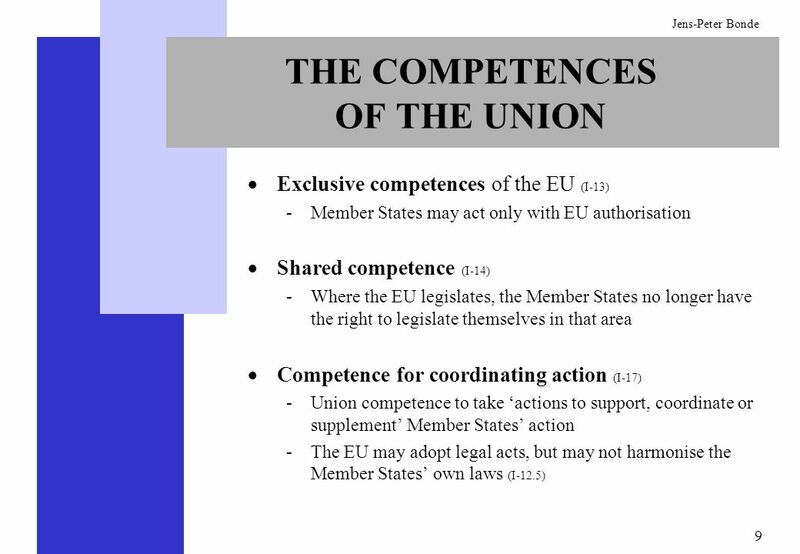 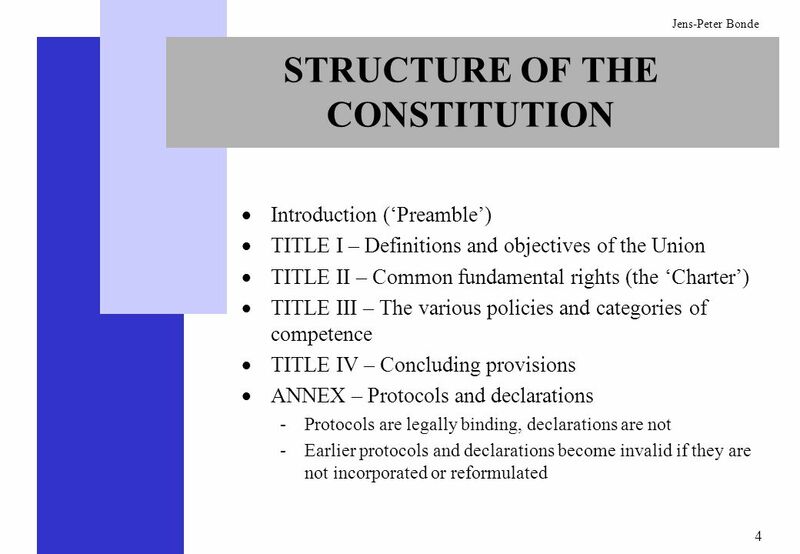 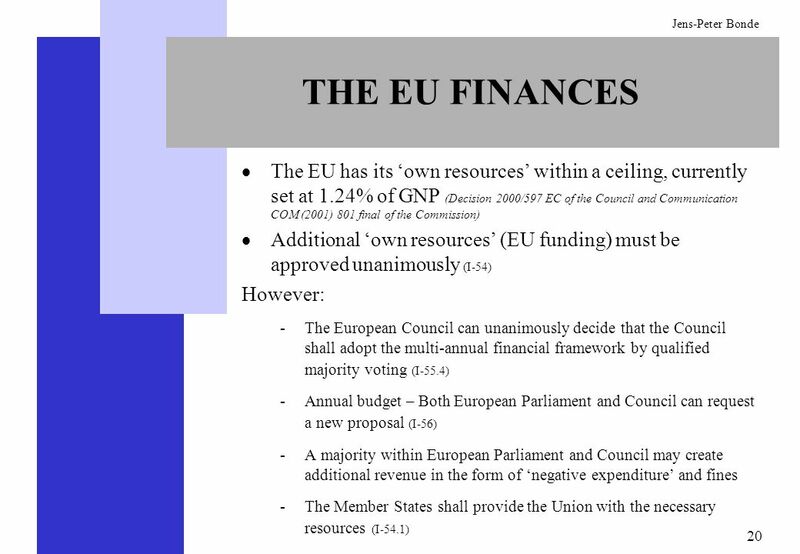 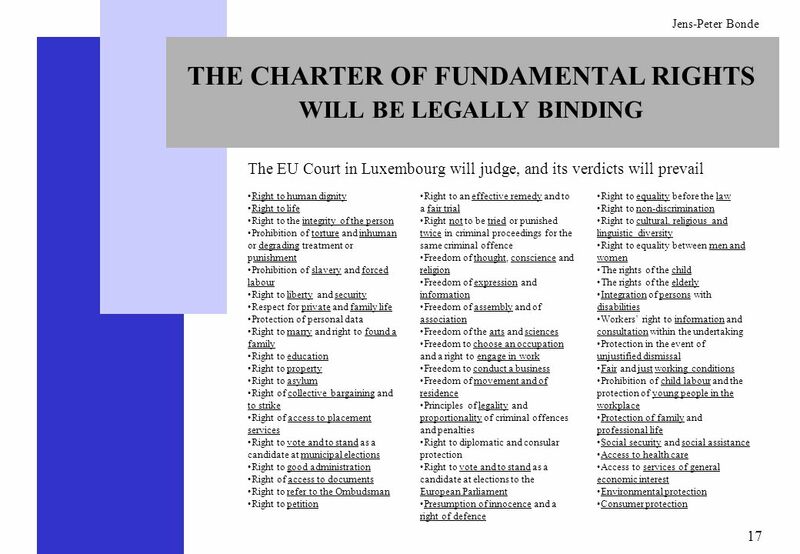 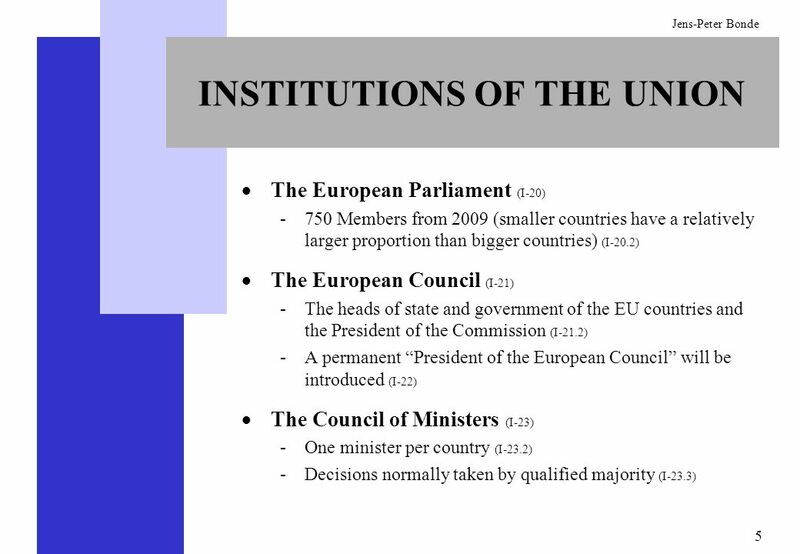 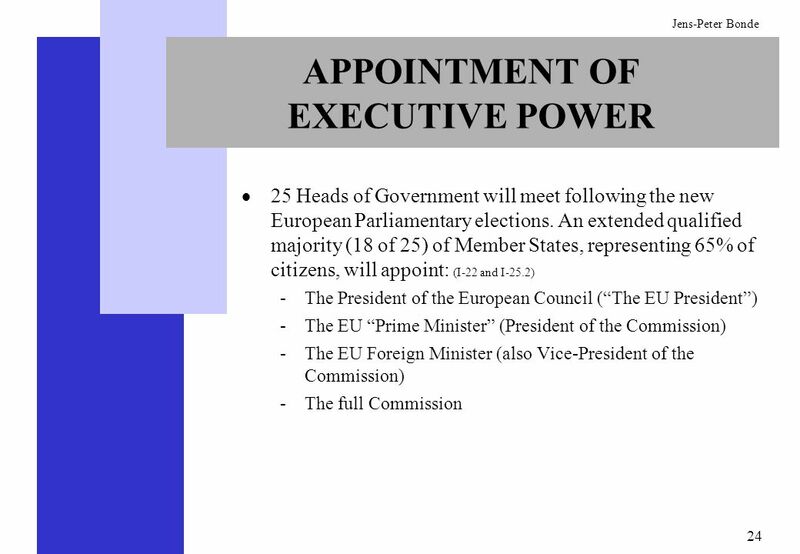  The European Union is not a federation, nor an organization for cooperation between governments  The Member States remain independent sovereign nations. 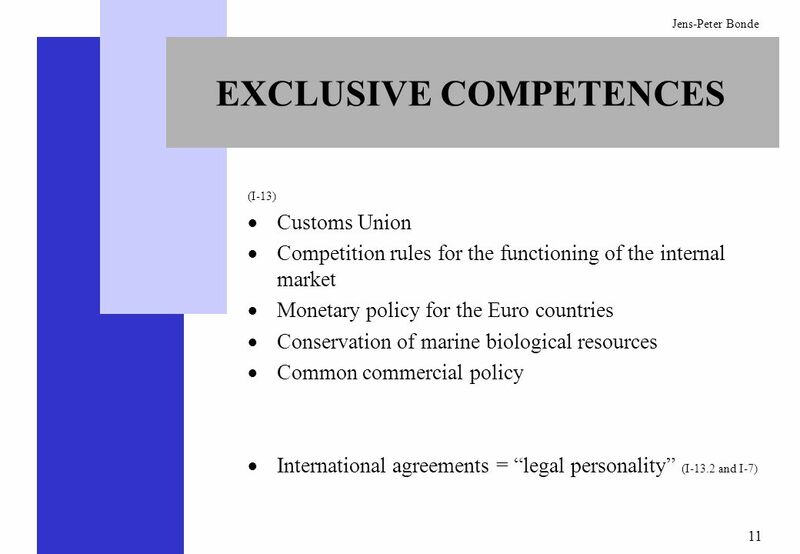 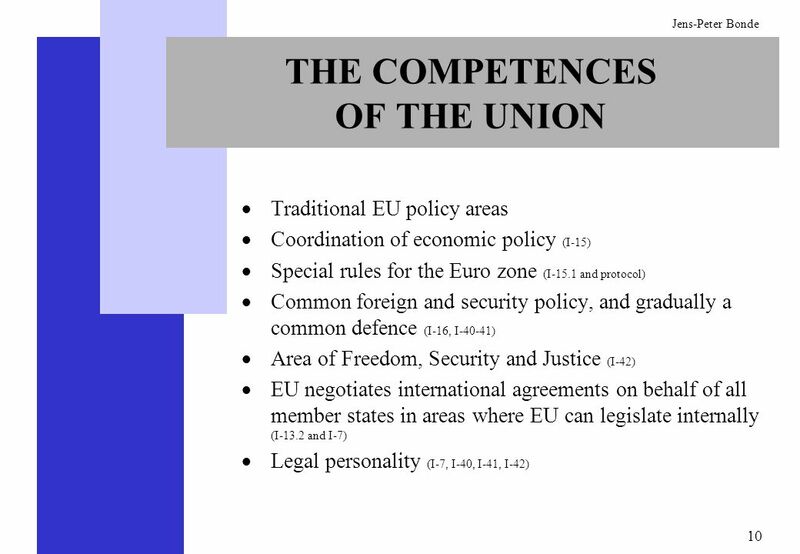 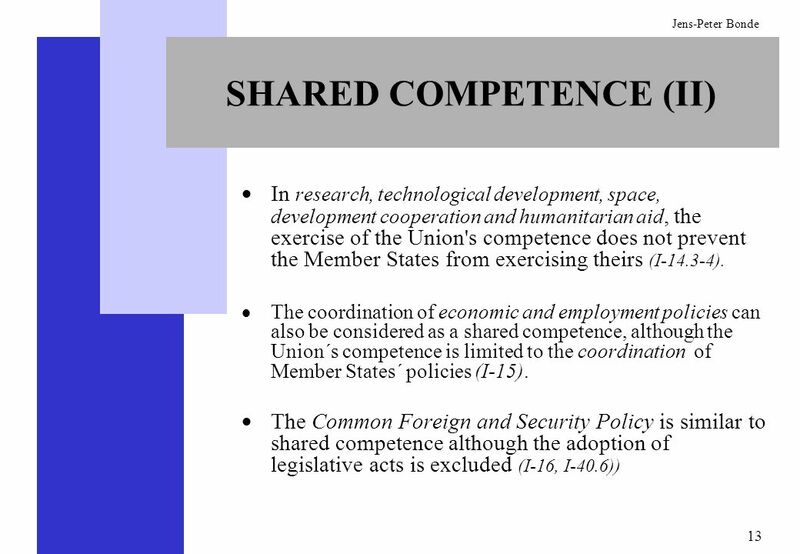 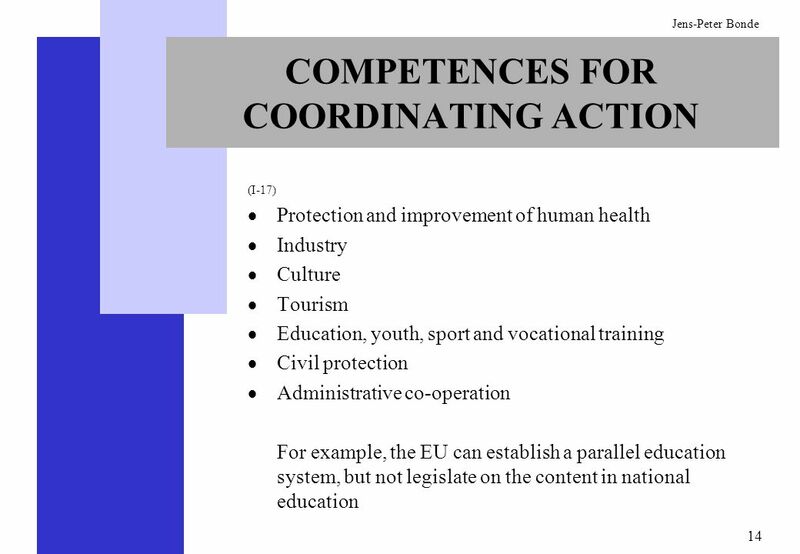 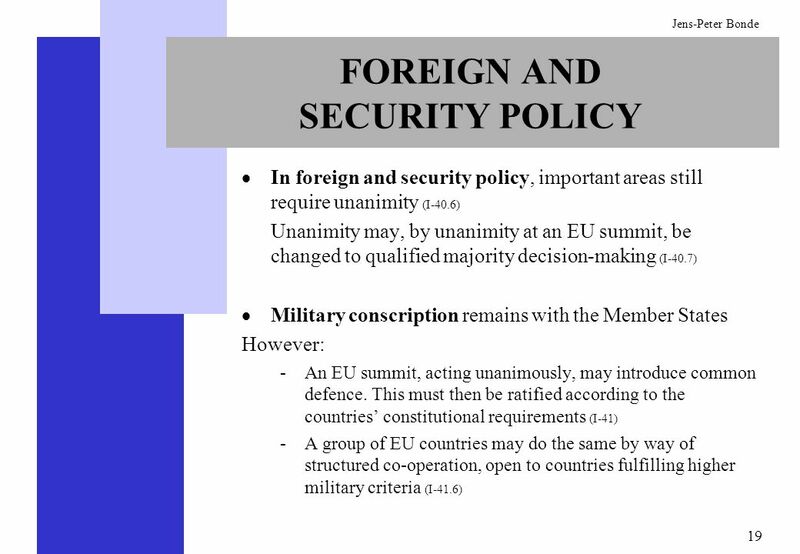 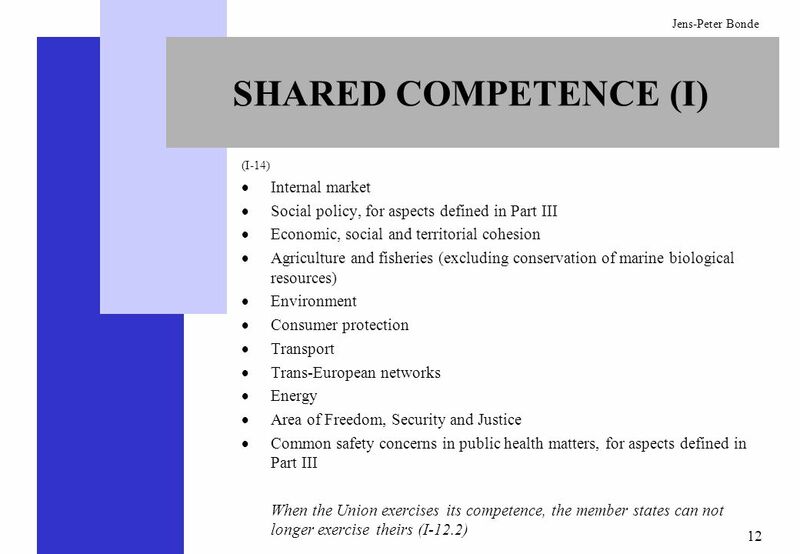 1 “Introduction to EU Trade Policy” – July 2008 How We Make Trade Policy n Contents n Part I: EU Trade Powers n Part II: The evolving scope of Trade Policy.